People with depression can lose sight on what is important to them. Depression is mentally, emotionally, and physically debilitating. When a client is depressed and does not understand what they can do to manage their depression, they will feel hopeless about life and the future. 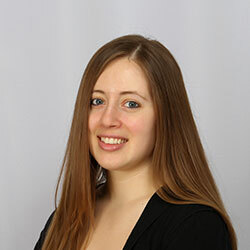 It is important to encourage clients to find strength within themselves. Clients need to remember that their depression does not define them. A great way to do this is establish a list of goals for the future. Depression has a way of getting people stuck in the past, which can make the present unbearable. It causes a person to forget about the potential and hope for the future. It also makes it hard to stay focused in the present. There are so many thoughts in a depressed person’s mind. Those thoughts make focusing on goals nearly impossible. A great way for a therapist to keep a client with depression grounded is to provide tools. Tools help them stay focused and provide a supportive aid for reference. 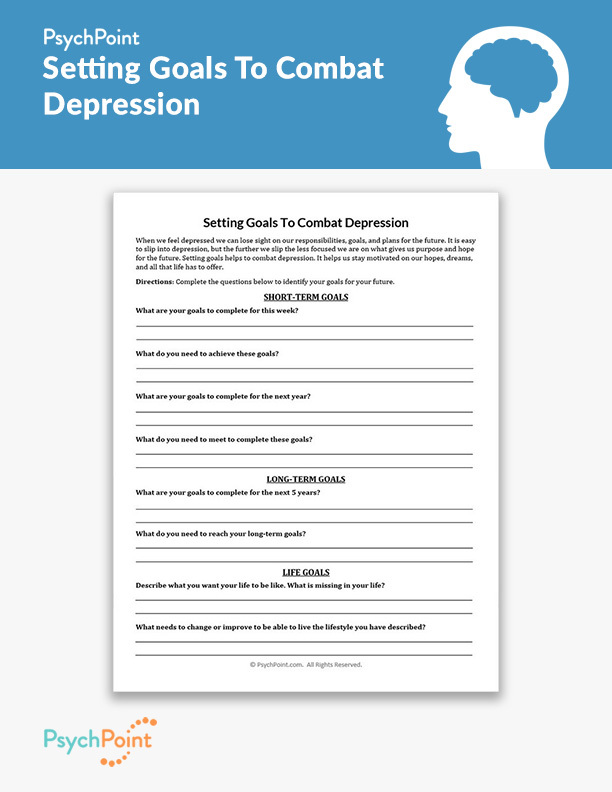 This is the Setting Goals to Combat Depression worksheet. 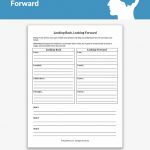 This worksheet is focused on setting goals to increase hope for the future. By setting goals for the future, you help your client stay motivated. They are better able to keep up with day-to-day responsibilities. It also keeps them hopeful for their future and is good practice for staying focused on the present. It is designed to have the client remember that they want and can achieve their goals. They do not have to be consumed by their depressed mood. This helps them find strength and motivation to strive for their future. The client is asked questions about their short-term, long-term and life goals. For the short-term and long-term goals, the client sets objectives for their goals. The last set of questions is in regard to the client’s life goals and what is needed to achieve the life they want to have. 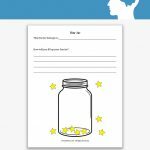 This worksheet is great for adults who are struggling with depression. It is best utilized in individual counseling sessions. © 2019 PsychPoint.com. All Rights Reserved. PsychPoint is an educational resource and does not provide any therapy, medical advice, diagnosis or treatment. 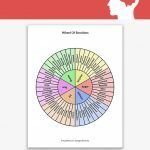 The worksheets on PsychPoint are to only be used under the supervision of a licensed mental health professional. If you are concerned about thoughts of suicide or If you feel you are in immediate need of help, call 911 or the suicide prevention hotline at 1-800-273-TALK.